Chippewa School Featured in Properties Magazine - Hasenstab Architects - Located in Northeast Ohio, Hasenstab Architects specializes in healthcare, simulation, laboratory, research, higher education, k-12, and office design. 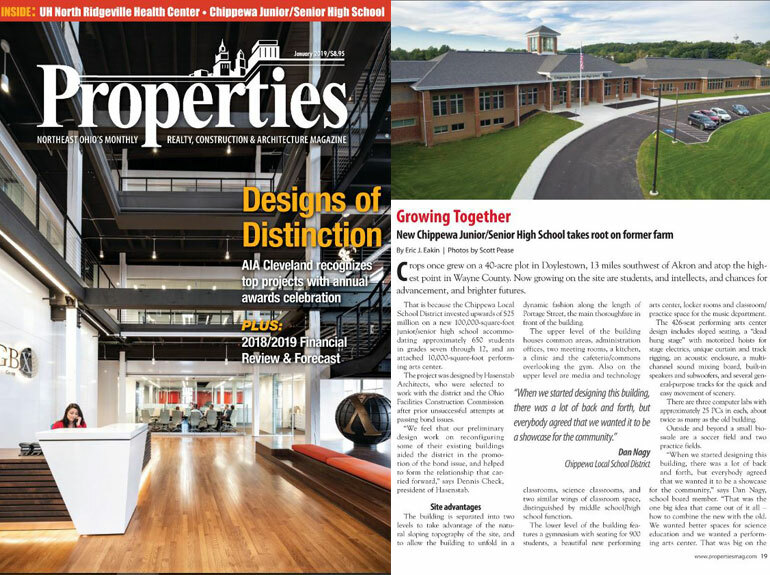 The new 7-12 Junior/Senior High School we designed for Chippewa Local Schools was recently featured in the January issue of Properties Magazine. The article outlines the school’s exciting features including the 10,000-square-foot performing arts center, 900-seat gymnasium, and separate wings for the junior and high school classrooms. View more photos of this project here.